Jasmine Boutdy sat outside the glass window, picked up the phone, and listened intently as the detained immigrant on the other side of the glass told his story. The 23-year-old man had left his family behind in Bangladesh to escape political strife. First, he traveled to Qatar, then to Brazil, then up through Central America and into Mexico. After crossing the U.S. border, he spent three days walking around before he finally went to police and asked for asylum. For all his trouble, he was sent to Stewart Detention Center in Lumpkin, Georgia, where he lost his asylum case. After 15 long months, he remained in detention, with no end in sight. 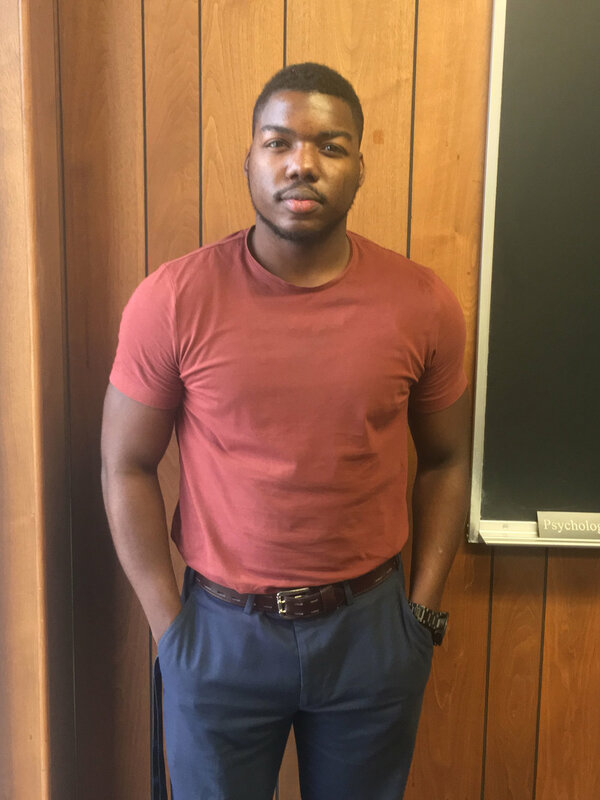 The man told his story to Boutdy, one of five students at Auburn University in Montgomery, Alabama (AUM) who visited detained immigrants at Stewart late last year. The trip was organized by SPLC on Campus, a program of the SPLC that helps college students raise awareness of social justice issues with their peers, and helps them become agents of change within their communities. The program has chapters at 73 colleges across the country. Boutdy said the detained immigrant’s story especially tugged at her heartstrings because of her own family history. The visit to the detention center was an eye-opener not only for Boutdy but also for the other members of SPLC on Campus at AUM who joined her on the trip, said Pia Knigge, PhD, an assistant professor of political science at AUM who is the chapter’s faculty adviser. The group plans to visit Stewart again in April. Since her visit to Stewart, Boutdy has been exchanging letters with the detainee she met there. Donna Sanford, another SPLC on Campus member at AUM who went on the trip with Boutdy, said she, too, was motivated to speak up about what she saw and heard there. The Mexican immigrant she visited was detained after he was pulled over for a DUI. He told Sanford he had a cold, but did not receive medical treatment from the center. The SPLC on Campus group at AUM has made immigration its theme for the year, and members want to get the word out about conditions at Stewart. They recalled entering the center through gates lined with razor wire, being shepherded through a double-entry access system, and going through metal detectors. They proceeded through sliding bars that were opened, then shut behind them as they went into small rooms. There, they spoke to detainees through phones on either side of a glass partition. Detainees told them they were forced to sleep in bunk beds in rooms with multiple men, and that it was difficult to sleep because other detainees stayed up late, talking. The students also recalled the hopelessness the men conveyed to them at being locked up without any recourse. “Their conditions were horrible,” said Sam Duff, 23, vice president of the SPLC on Campus chapter at AUM. Duff spoke to a man from Gambia who had been detained for 18 months after coming to America to visit his family. The SPLC is not identifying the detainees in this story to protect their confidentiality. A growing number of detainees at Stewart are represented by the Southeast Immigrant Freedom Initiative (SIFI) – a project of the SPLC that enlists and trains volunteer lawyers to provide free legal representation to detained immigrants who are facing deportation proceedings in the Southeast. The SPLC on Campus students have vowed to keep exposing conditions at Stewart, hoping to make a difference.